The energy needed to propel a crowdfunding can be exhausting, it can then be enticing to stall making arrangements for fulfilment of backers— or even overlook it totally. One of the greatest errors first-time crowdfunders make isn’t thoroughly considering sending their backers the rewards as soon as possible after the campaign ends. We’ve worked with crowdfunding campaigns of all shapes and sizes and need to share our best rules and regulations for satisfying backer rewards rapidly, effortlessly, and cost-effectively. It’s best to give your crowdfunding rewards basic. For instance, in the event that a basic reward is a T-shirt, offer maybe only a few choices rather than five. This makes it quicker for backers to decide on what reward to settle on, and saves you and your suppliers a lot of time and effort as well as making the turnaround from supplier to backer much easier, keeping everyone happy. Some first-time crowdfunders neglect to factor overhead costs into their financing. However, it can be difficult calculate the true costs of packaging and shipping. This can bring a harsh reality check when it comes time to send rewards! We normally suggest 20% of your budget should be for reward fulfilment. This should take care of the expenses of post & packaging. Your financing need to take the production and shipping of the items into consideration. If you don’t be careful about your overhead post & packaging costs you may wind up paying out of pocket when it comes time to reward your backers. Also make you you take into account the amount of backers you have received internationally, there are many extra charges! Including taxes and duties. The more data you gather from backers, the easier it will be to send them their rewards later one. It can be difficult to establish contact with some backers for information, adding more unneeded stress to your after campaign efforts. Getting their information straight away will save you a headache later on. 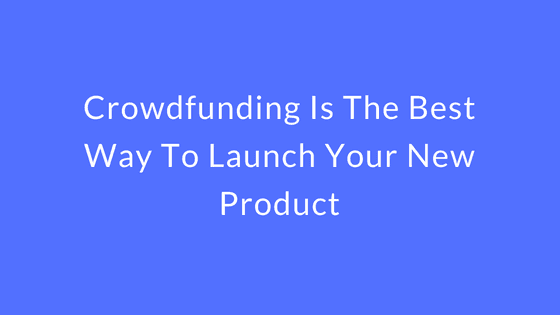 Most crowdfunding campaigns are worldwide, which means you will probably have some out of town backers. It is SUPER important to budget for delivery expenses and international shipping will be the most expensive. It is difficult to know what percentage of your backers will be out of towners, but the budgeting that you will have done will save you from being sucker punched later on. It is best to consult a specialist when tackling the tax rates of sending internationally, studying up a little on harmonized tariff system will aid you in your efforts. Transparency is key before, during and after your campaign, it will build customer loyalty, and equity. When your campaign is underway, communicate about any extra costs your backers may need to cover if they are international or national. Give updates on the campaign, the production of the product, the shipping, expected delivery dates etc. There are fulfilment providers that can give real-time updates every step of the way, allowing you to pass on specific shipping dates and tracking numbers to customers. Organising the rewards of backers can seem overwhelming, it doesn’t have to be, these tips should help you in your crowdfunding campaigns fulfilments, and help you to build loyalty and equity with your customers.